An innovative approach on 'How to implement Healthy Diet Ideas into our daily life'. Inspirational Games are aimed to develope in kids positive qualities such as kindness, honesty and friendliness. entertaining stories, creative tasks, colour in illustrations & enviromental poems on HOW beautiful & valuable Nature's Gifts are. Do you love healthy food? Then use this opportunity and win children book ‘Apple & Pear'. Become our eligible ‘fruit' followers. You only have to join us in facebook HERE FRUIT IDEAS >> & leave your informative comments about our stories or share your experience about healthy food. First 100 followers will receive amusing book about Apple and Pear absolutely FREE (pdf format). Join our group, write comments, then contact us for info about your PRIZE! 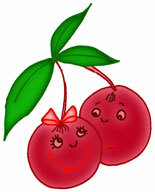 - Try to introduce kids to healthy food fairtytales, talking fruits & vegetables online. 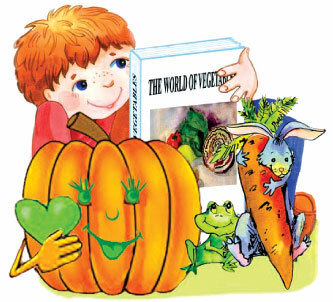 Entertaining stories from the books 'The World of Fruits' and 'The World of Vegetables' can serve as bed-time stories for many years to come. - Visit our fruit stories online, one by one, listen to nursery rhymes indeed, every child will love creative animated characters with fruitty features. 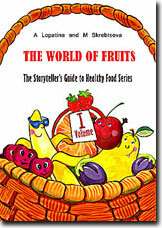 - Recite with your kids healthy food rhymes, play scenes from healthy stories at home, color in pictures. - Organise healthy celebratraions, like 'Juice day', 'Fruit rhymes prizes' etc. All these will help to create strong 'friendhsip' between your kids and Nature's gifts. 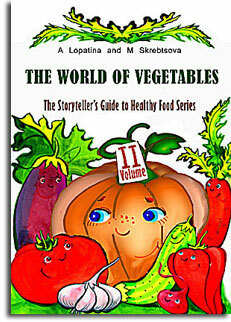 Nowonder - vegetables' and fruits' characters will entertain your whole family! Not just kids, but even grown up will learn to appreciate healthy food much more. 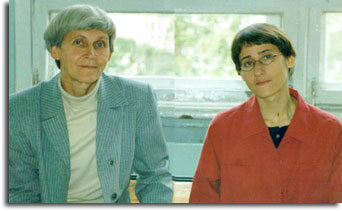 Ideally, healthy ideas and fruit-vegetable's menu should be introduced to a child at a very tender age of 2 - 3. Later in life, these healthy habits will assist them to avoid many unpleasant problems, such as flu, extra weight, digestion-related problems etc.